Networking through the Summit Exhibition in an area immediately outside the conference hall and at summit events including Welcome Drinks Reception and the AMEC Awards and Summit Dinner. As the Asia-Pacific’s leading information intelligence and content company, Isentia is delighted to welcome the world’s leading communications measurement professionals to our dynamic region for the first ever Asian hosted AMEC Global Summit. Isentia works with over 5,000 clients serviced by 1,300 employees across 15 countries providing data, analysis, content and advice 24/7/365. Our creative content makers provide best practice digital marketing solutions, with our intelligence services utilising data from over 250 million online conversations, 5,500 print, radio and television media outlets per month. Our talented people, innovative search technology, comprehensive coverage, expert research and creative content provides the tools and insight to allow our clients to manage media relationships effectively, track and analyse issues of interest across all media, discover and share valuable insights that drive smarter decisions and build content and social strategies that add real brand value. As the headline sponsor of the 2017 AMEC Global Summit, Isentia looks forward to another exciting exploration of key issues and developments within the communications research and measurement field. Ninestars Information Technologies Ltd. provides smart, IP-driven digital content solutions to clients worldwide. We have over a decade’s experience in the digital content industry and understand the market needs, technology trends and changing user behavior. From digital clipping services to transcription, analysis, and multi-platform mobile apps, we have end-to-end media monitoring solutions. We deliver bespoke conversion solutions for printed media contents, transforming them into structured and searchable text files, along with strategic media management and media analysis. We also offer a wide array of media-related services, including translations, manually written summaries, sentiment analysis, and radio and TV monitoring solutions. Our stellar team comprehends the intricacies of every project and seamlessly blend innovative digital applications, manual selection methodologies and a myriad of research approaches to acquire pertinent information with pinpoint accuracy for our esteemed clients. By being one of the fastest and most effective in the dynamic media industry, we ensure that everything is delivered to you sharper and better. CARMA is a global provider of media intelligence solutions. We deliver what matters, allowing our clients to make informed business decisions based on valuable, relevant and actionable insights from the media, whether traditional print, social, broadcast or online. With 13 regional offices and people on the ground in 41 countries over 5 continents, we provide media monitoring and analysis across all types of media. CARMA conducts research of media coverage in all key geographies around the world and in over 80 languages. 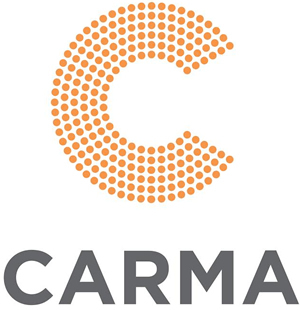 CARMA goes beyond the usual charts and metrics for our 1,200+ clients, combining the latest, cutting-edge technology to structure big media data with a crucial layer of human analysis to provide meaningful and actionable insights. Our clients include PR and communications professionals in all industries in the private sector, governments and NGOs all over the world. Cision is the leading media communication technology and analytics company that enables marketers and communicators to effectively manage their earned media campaigns in coordination with paid and owned channels to drive business impact. As the creator of the Cision Communication Cloud™, the first-of-its-kind earned media cloud-based platform, Cision has combined cutting-edge data, analytics, technology and services into a unified communication ecosystem that brands can use to build consistent, meaningful and enduring relationships with influencers and buyers in order to amplify their marketplace influence. Cision solutions also include market-leading media technologies such as PR Newswire, Gorkana, PRWeb, Help a Reporter Out (HARO) and iContact. Cision serves over 100,000 customers in 170 countries and 40 languages worldwide, and maintains offices in North America, Europe, the Middle East, Asia, Latin America and Australia. Meltwater helps companies make better, more informed decisions based on insights from the outside. We believe that business strategy will be increasingly shaped by insights from online data. Organizations will look outside, beyond their internal reporting systems to a world of data that is constantly growing and changing. Our customers use these insights to make timely decisions based on real-time analysis. More than 23,000 companies use the Meltwater media intelligence platform to stay on top of billions of online conversations, extract relevant insights, and use them to strategically manage their brand and stay ahead of their competition. With 50 offices on six continents, Meltwater is dedicated to personal, global service built on local expertise. Meltwater also operates the Meltwater Entrepreneurial School of Technology (MEST), a nonprofit organization devoted to nurturing future generations of entrepreneurs. For more information, visit www.meltwater.com. DataScouting is a service provider and software developer for Information and Communications Technologies (ICT) specialized in developing innovative solutions for media monitors, PR agencies, publishers, broadcasters, brand owners and market analysis specialists. Using technologies such as Optical Character Recognition, Natural Language Processing, Automatic Speech Recognition, Logo Detection and Data Mining, DataScouting provides intelligent solutions for managing and delivering of print and broadcast media. DataScouting can help you accelerate business growth and address business and technology challenges by designing, and building high quality, reliable and secure applications tailored to meet your business requirements. DataScouting is a member of AMEC, FIBEP and NEM. NLA licenses and supplies UK and international newspaper, magazine and wire content to the MME and user communities in UK and worldwide. 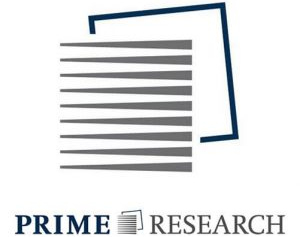 In addition to our UK MME partners the NLA international licence – IMMO – is used by 22 leading service suppliers including Kantar, Cision, Auschnitt, Newton, Burrelles Luce. NLA recently added Spanish content to IMMO, and IMMO includes leading international titles. NLA also licenses MMEs through partnerships with agencies in France, Spain, Germany, Portugal, Greece and other countries. NLA data services include digital delivery or print, web and – uniquely – website usage data through its eClips, eClips web and AIM data services. NLA is a founder member of PDLN (www.pdln.info) and works with PDLN partners to create better licences and access to media for MMEs. TAGFACT provides coding, tagging and sorting services for print, broadcast and social media content across 12+ European and Asian Languages. We help unlock the true potential of media content by scaling qualitative data across multiple industries. 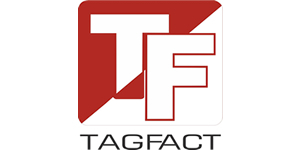 With a proven business process framework, dedicated quality team, and flexible data deliver formats and timelines, TAGFACT works closely with clients to manually tag and code their content enabling them to draw insights, measure media effectiveness, manage their data repositories. Clients work with us over and above their automated solutions for close to 100% accuracy. We are source and content agnostic and can work across providers and tools. Talkwalker (www.talkwalker.com) is one of the world’s leading social data intelligence companies. Its cutting-edge technology provides actionable social media insights through real-time social listening and advanced social media analytics. Talkwalker helps marketers to prove the value of their social efforts and enhances the speed and accuracy of business decision-making. Talkwalker’s state of the art social media analytics platform monitors and analyzes online conversations on social networks, news websites, blogs, forums and more, in over 187 languages. Its 1500 servers process 500 million posts from 150 million websites every day. Talkwalker’s unique social intelligence software was selected to become a Twitter Official Partner in 2014. The Talkwalker platform is used by over 600 clients around the world, including Microsoft, HPE, Benetton, and communications specialists such as Peppercomm, Publicis, Ogilvy, and Weber Shandwick. Ogilvy & Mather is one of the largest marketing communications companies in the world. It was named the Cannes Lions Network of the Year for five consecutive years, 2012, 2013, 2014, 2015 and 2016; the EFFIEs World’s Most Effective Agency Network in 2012, 2013 and 2016; and Adweek’s Global Agency of the Year in 2016. The company is comprised of industry leading units in the following disciplines: advertising; public relations and public affairs; branding and identity; shopper and retail marketing; health care communications; direct, digital, promotion and relationship marketing; consulting, research and analytics; branded content and entertainment; and specialist communications. O&M services Fortune Global 500 companies as well as local businesses through its network of more than 500 offices in 126 countries. It is a WPP company (NASDAQ: WPPGY). For more information, visit http://www.ogilvy.com, or follow Ogilvy on Twitter at @OgilvyAsia. Drive communication and business strategy through deep media insights. With LexisNexis Media Intelligence solutions, cut through the noise to uncover the information that really matters. Learn what’s being said about your brand, benchmark against others, and gain powerful insight about where to shape the direction of your company. China International Public Relations Association, granted with “3A” level industry qualification by the PRC Ministry of Civil Affairs, is a nation-wide PR professional organization with special consultative status by the UN Economic and Social Council (ECOSOC). As the subsidiary body of Ministry of Foreign Affairs, it was established on the April 26th , 1991 and is headquartered in Beijing. Our mission is to provide various forms of content-rich member services, to maintain close contact between China’s public relations organizations and relative organizations at home and abroad and promote professional, standardization, and internationalization of China’s PR industry. BBVA, CaixaBank, Iberdrola, Repsol, Santander and Telefonica are our founding partners. Current Trustees of the Foundation include companies such as Abertis, Bankinter, Coca-Cola, Correos, Danone, DKV Seguros Médicos, El Corte Inglés, Ibercaja, MAPFRE, Popular, Renfe, Suez Water Spain (Agbar) and Grupo Volkswagen. The IABC Asia-Pacific region comprises 13 chapters in eight countries and is part of a vibrant global community of over 10,000 communication professionals. Setting a standard of excellence since 1970, the International Association of Business Communicators (IABC) serves professionals in the field of business communication, bringing together the profession’s collective disciplines. We deliver on the Global Standard in communication through our educational offerings, certification, awards program, resource library, online magazine and annual World Conference. We support our community of business communication professionals with innovative thinking, shared best practices, in-depth learning and career guidance. Our Global Standard and career purpose define the communication profession. Perhimpunan Hubungan Masyarakat Indonesia – PERHUMAS (The Public Relations Association of Indonesia) is the pioneer professional organization for Public Relations and Communications practitioners in Indonesia established on the 15th December, 1972. PERHUMAS is officially registered with DEPDAGRI (the Department of Domestic Affairs) as a national organization for public relations in Indonesia and the International Public Relations Association, IPRA based in London. The objectives of PERHUMAS are at improving the professional skills, broaden and deepen the knowledge, promote contacts and exchanges of experience between members and to correspond with allied organizations at home and abroad. To achieve these goals, various activities beneficial to members, such as newsletters publishing, books and journals have been created. The Institute for Public Relations is a 501(c)(3) nonprofit foundation dedicated to fostering greater use of research and research-based knowledge in corporate communication and the public relations profession. IPR focuses on research that matters to the profession, providing timely insights and applied intelligence that professionals can put to immediate use. Dedicated to the science beneath the art of public relations,TM IPR serves as a research aggregator, grantor, partner, interpreter, and convener. IPR does this through independent projects as well as through some of our commissions and programs, including our Behavioral Insights Research Center, Social Media Research Center, Organizational Communication Research Center, and Measurement Commission. All research and publications are available for free to the profession at www.instituteforpr.org. Founded in 1999, the Public Relations Consultants’ Association of Malaysia (PRCA Malaysia) is an independent, non-profit organization representing public relations practitioners either working in-house or in consultancies. PRCA Malaysia is dedicated to fostering public relations excellence. The association serves as a platform for the exchange of information and views, while striving to set the standards for the PR industry. PRCA Malaysia makes a difference by continuing to undertake activities that would further promote the profession and the industry, including training and talent development initiatives whilst offering networking opportunities for its members. It is also committed to develop young consultants and provide a unified voice for practitioners. PRCA Malaysia abides by a code of conduct including professional standards, ethics, qualification and the conduct of business. Public Relations Consultants Association of India is a trade association set up in 2001 that represents India’s public relations consultancy sector while providing a forum for Government, public bodies, industry associations, trade and others to confer with public relations consultants as a body. It seeks to establish benchmarks in Standards, Knowledge, Ethics and Expertise and encourages and promotes the progression of Public Relations Industry in India. To widen representation and participation from our members, 4 Regional Chapters have been created. 35 leading PR consultancies are our members. Professional Codes, Consultancy Management Standards, Regional Networks, International Information and knowledge sharing with links, Referrals, Industry placements, Guidance papers, business support, Seminars and Conferences, Education & training and Research and surveys. The Association now is helping educational institutes to include Public Relations in their curriculum. PRCAI has entered into an MOU with Times School of Journalism where the members of PRCAI are in the faculty to teach PR. IIMC, SCoRe, MDI are other institutes where members teach. 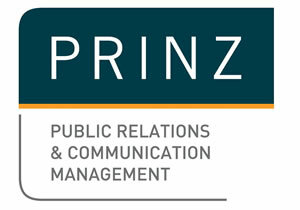 The Public Relations Institute of New Zealand (PRINZ) was established in 1954 to represent the public relations and communication management profession in New Zealand. With more than 1350 members, PRINZ is a dynamic and growing membership organisation dedicated to best practice, professional communications. Members are drawn from in-house and agency practice across all industry sectors, from corporate to government to community. Members are required to agree to the PRINZ Code of Ethics. PRINZ offers members access to resources, tools and professional support including professional development programmes, networking opportunities and events, industry awards, and international alliances. The Public Relations Institute of Australia (PRIA) is the national industry body for public relations and communication professionals in Australia. PRIA represents and provides professional support and recognition to over 4,000 practitioners and more than 100 consultancies nationwide. Since 1949, it’s been PRIA’s role to promote and enhance the profession and its status to the broader community. PRIA enforces the highest standards of ethical practice and represent public relations practitioners in the best interests of the profession. PROI Worldwide, the world’s largest partnership of integrated independent communications agencies, was founded in Europe in1970 and has offices in more than 110 cities in 50+ countries. With 75 agencies across five continents, including most of the largest independent agencies in Asia-Pacific, PROI Worldwide is the 6th largest communications partnership in the world with more than 5,000 staff servicing 6,300+ clients worldwide and 2016 net fee income of US$ 721+ million. The Public Relations Society of the Philippines (PRSP) is the country’s premier organization for communication and PR professionals. In its roster are practitioners who represent business and industry, the academe, government, non-profit organizations, and professional services among others. The Society’s mission is to advance the practice of public relations by uniting those engaged in the profession, encouraging continuing education of practitioners, generating public confidence in the profession by promoting high ethical practice and encouraging high standards of public service, playing the active role in all matters affecting the practice of public relations, and strengthening the relationships of public relations professionals with employees and clients, government at all levels, educators, media and the general public. PRSP launches events and activities that help the advancement and growth of PR and communication practitioners in the industry nationwide. Aside from aforementioned objectives, the organization also helps members who are in need of assistance financially or professionally. Thailand Public Relations Association “PR Thailand” is an organizational body of knowledgeable and esteemed scholars, PR and communication executives, marketing and advertising gurus, integrated marketing communicators and media executives, ranging from broadcasting, radio and television, to digital media and other media-related networks, from both the public and private sector. PR Thailand is born out of the importance to public relations of creating networks of communication which extend to cover the country’s key institutions to give information about and fortify Thailand’s reputation, image and identity. PR Thailand promotes academic work and development, be it in the form of documentation, research papers and articles, from the early stage of production to distribution across media forms. PR Thailand’s objectives are (1) to provide support for career development in the aforementioned fields at all levels by channeling professional practice in line with social and technological evolution and (2) to create an integration in communication network that will contribute to Thailand’s communication development, image, social and economic advancement. PR Thailand also aims to raise awareness of public relations as a profession and stress the value of this profession in the hope of contributing to the country’s wellbeing both nationally and internationally. As Asia’s hub for commerce and technology, Hong Kong continues to achieve dramatic expansion and the public relations industry grows concurrently. CPRFHK brings PR and communications consultancies together to establish standards, discuss issues affecting the industry, and identify strategies for enhancing the profession’s reputation. The Council supports public relations practitioners and profession by providing a range of member services including accreditation, events and education programs. Its members meet regularly to examine issues including industry ethics, business and public relations trends, and to liaise with other professional and business bodies, and with Government. The CPRFHK now has over 35 members that work together to ensure high standards of professional competence and ethical practice, and to promote the vital role of effective public relations in the management of organizations. With 400+ data scientists, linguists and domain experts A Data Pro provides a unique blend of knowledge-intensive services, covering the entire spectrum of business information value chain in over 40 languages across 80 countries. It has proven experience acting as a content management hub for media measurement and analytics companies, global publishers and end-users of media intelligence worldwide since 1999.